Well it has been over six months since we moved to the Tomorrow building at MediaCityUK and we couldn’t be happier in our new home!! Working at such a great Northern hub of creativity, production and collaboration is inspiring. 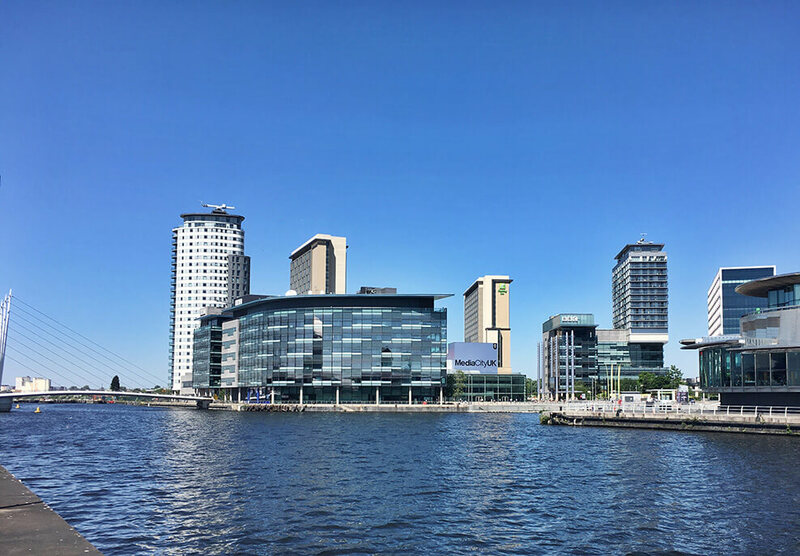 The famous MediaCityUK is a pioneering community and we love that Carbon has made it’s new home here. 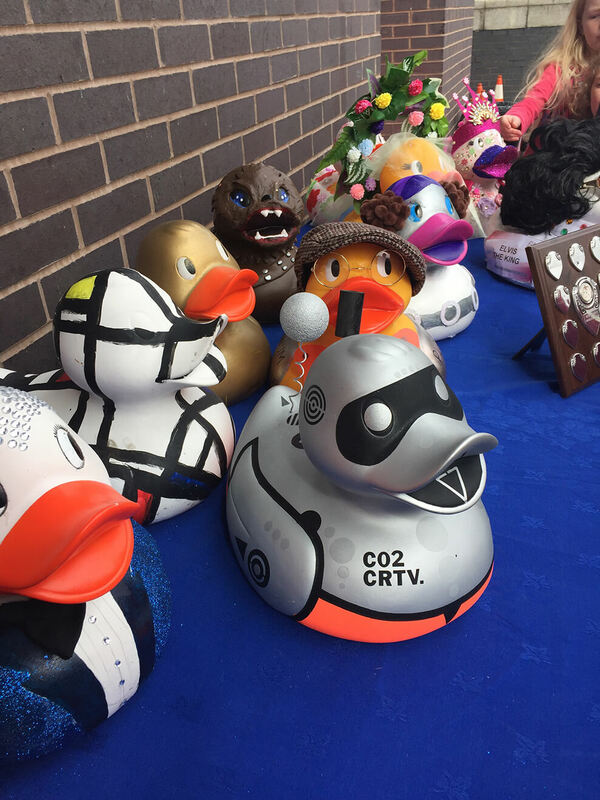 The Easter weekend saw us compete in the fantastic MedEquip4Kids Duck Race. Paul was nominated to decorate the duck and with suggestions ranging from Vera Duckworth (Corrie reference!) 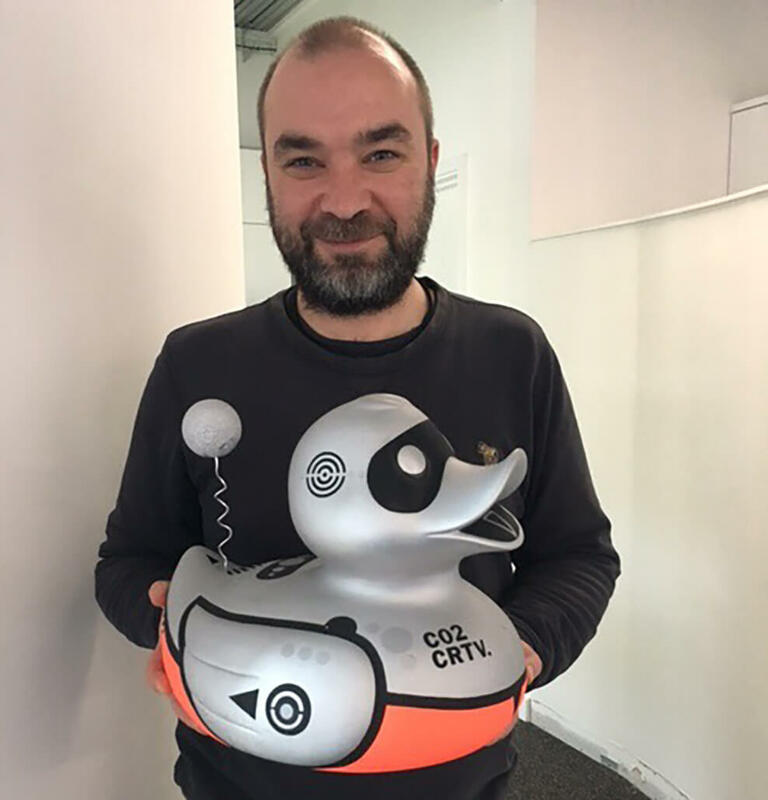 to Quacko Jacko, Paul took the executive decision to create Robo-Duck… and WE WON THE BEST DRESSED DUCK! Although the wind was not on our side that day to win the actual race, we were made up that we won most beautiful duck! 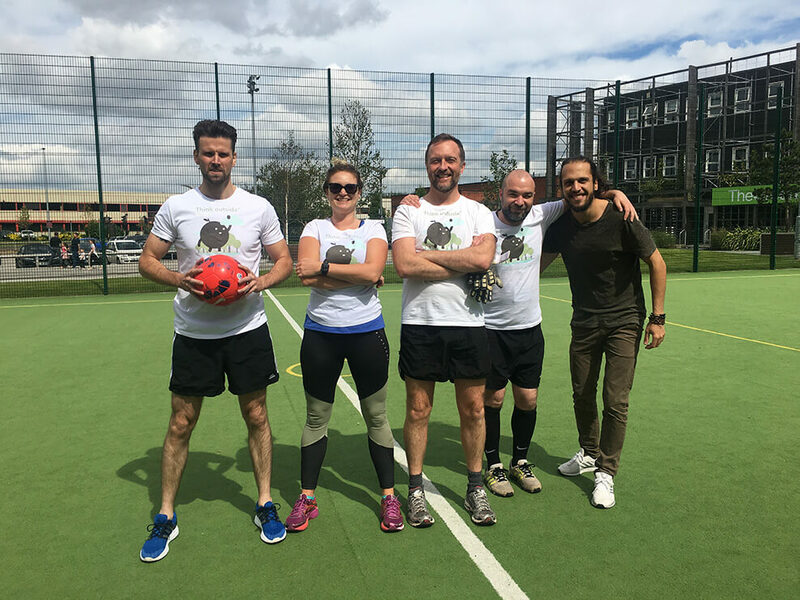 The very wonderful Rebekah (who you will meet when you come to visit us in the Tomorrow reception), arranged a neighbourly Football Tournament with the Tomorrow building tenants! 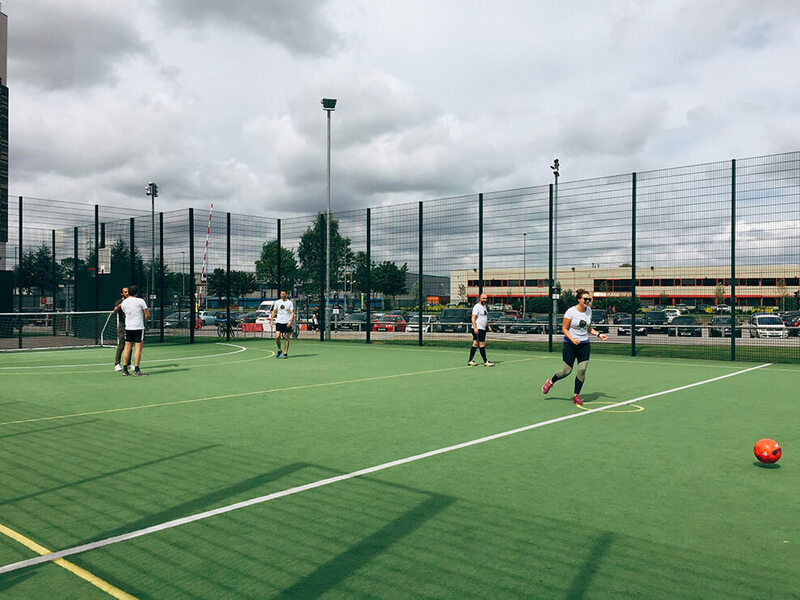 With roles quickly assigned – such as manager, head coach, plus player positions and subs, we turned up on the day and were given a quick run down of the rules! And as Kate and Martin were watching us on holiday via Instagram Live, I think it is safe to say we are now international football stars! Now, it is no secret we love a good cake! (See previous years epic 12 week long cake competitions!) So when we moved to MediaCityUK we were very excited to try out the rotating street food vendors on the newly built The Splat, and they have not disappointed! 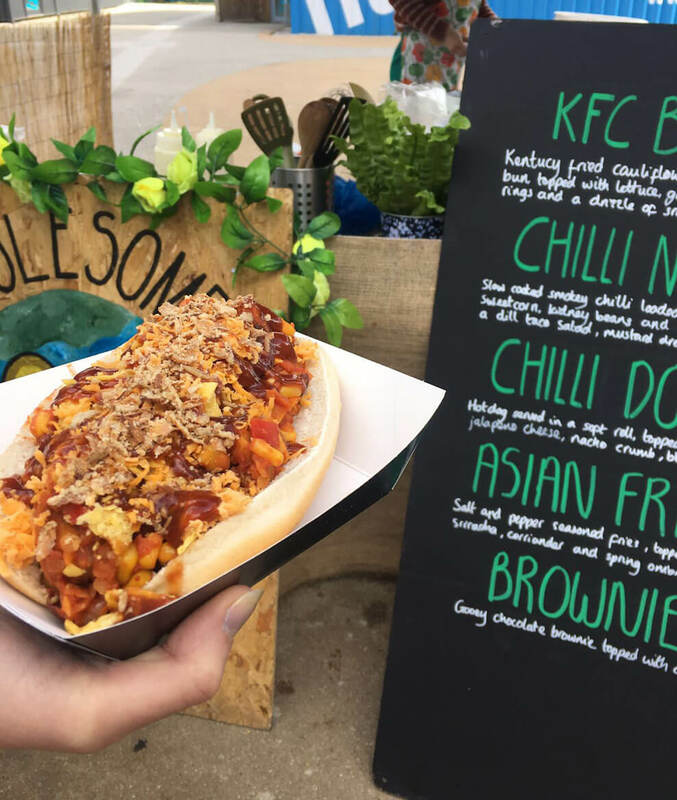 Hip Hop Chip Shop is a studio favourite, but we have also loved trying out the wraps from Oh My Glaze, vegan treats from Wholesome Junkies, and the Nutri-bar build your own box is a proper treat! 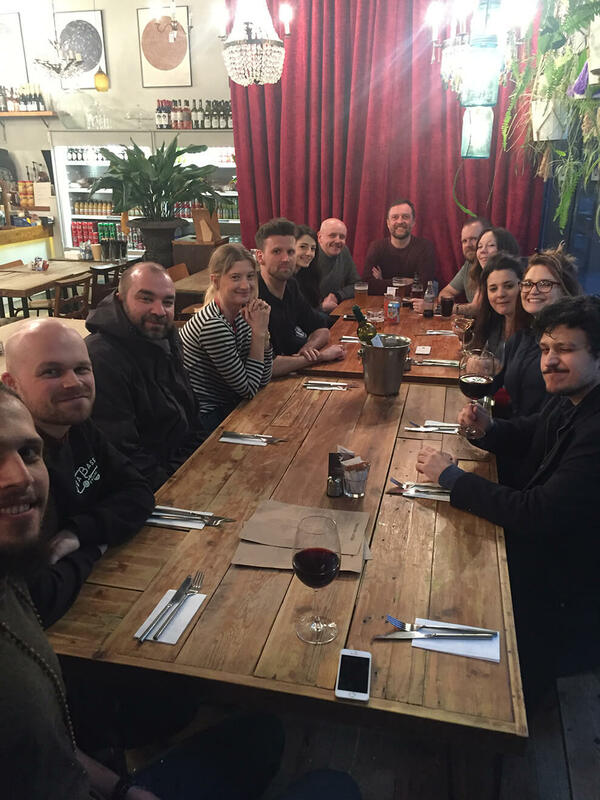 We also love pizza night at Pokusevskis! Keep them coming! The environment is so important to us here at Carbon, and our sustainability is one of our core values, everything we do is with environmental consideration. 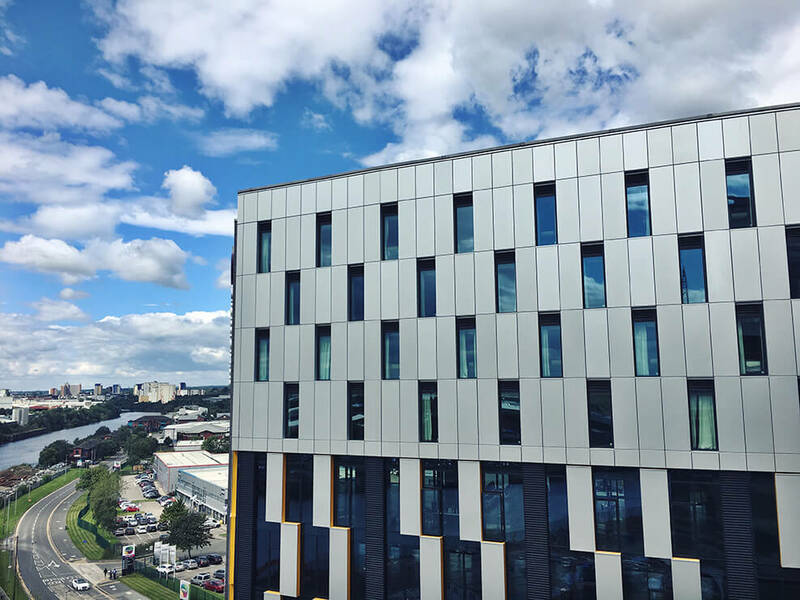 That is why it means so much that the Tomorrow Building is rated BREEAM excellent. And to add the cherry on the top, Tomorrow was named as winner of the Best Commercial Workplace by the British Council for Offices! We absolutely love being near the water, whatever the weather, having a walk down to the docks is always a real pleasure. We get to see choppy winds slice waves through the surface on bracing windy days. The still, solid surface on warm, calm days is a view to behold. 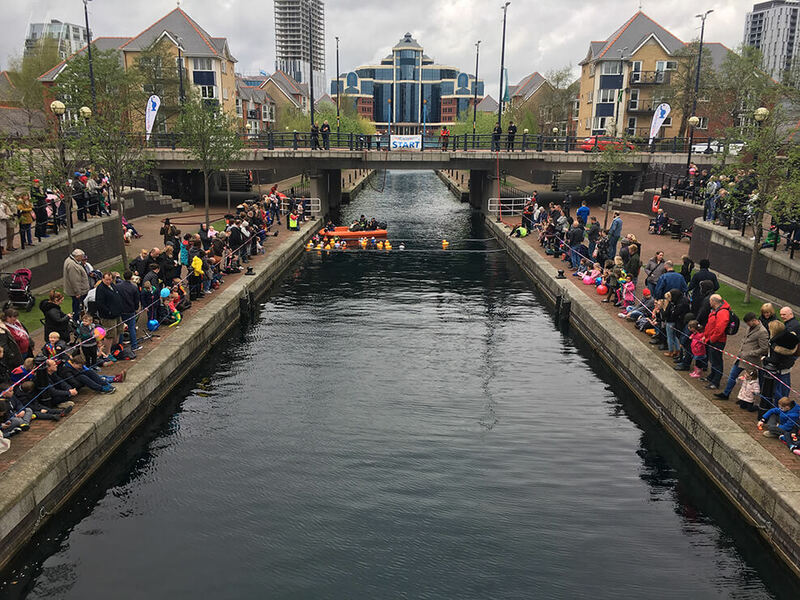 Once in a while, we get a glimpse of the Peter Blake boat, and about once a week we watch the tourists watch us while sailing down the historic Manchester Shipping Canal on one of their tours. During bright mornings and sunny evenings the kayakers are out training, rowing rhythmically and incredibly fast! Water is a winner for us. Those are just a few best bits for us – that is not to say we do not love the news segment filming on the piazza, the Corrie celeb spotting, and a Friday pint at Dockbar! Speaking of which.. whose round is it? !